Linda Collins | Greene County News The vacant property, located at 4953 Bath Road, has noxious weeds and high grass, overgrown bushes, fallen trees, pungent odors and animal infestations. BATH TOWNSHIP – A group of township residents appeared before the Bath Township Board of Trustees during the July 18 township meeting to voice their concerns about a neighboring nuisance property. The residents asked the trustees to do more about the ongoing issues at the vacant property, located at 4953 Bath Road. Their complaints included noxious weeds and high grass, overgrown bushes, fallen trees, pungent odors, animal infestations and the dilapidated condition of the unoccupied house. Township Zoning Inspector Jim Miller explained that the homeowner, who lives in Washington D.C., finances the property with Wright-Patt Credit Union and continues to make regular mortgage payments to the credit union. Miller noted that the township held a nuisance hearing regarding the property in 2016. The township notified the property owner and the lien holder, who were given 20 days to submit a written request for a hearing, but no request was made. The township took action to secure the structure and clean up the nuisance vegetation. The bill was then sent to the county auditor who placed a special assessment on the homeowner’s property tax bill. Miller also told the residents that the Greene County Department of Building Regulations had examined the exterior of the house and deemed it structurally secured. Miller said he had made multiple visits to the property during the past three years and found the exterior to be a solid structure as well. However, he was able to remove four junk vehicles that had been stored on the property for many years. Melvin Younger, who lives on the 4900 block of Bath Road, said he questioned if the property is actually secured and expressed his concerns about the potential health risk from feral animals who have taken up residency in the house and on the property. Miller explained that the Greene County Health Department was aware of the health-related issues at the property and had posted notices of the health violations on the exterior of the house. Township Trustee Tom Pitstick suggested that the township contract a mowing business to cut the weeds and grass at the Bath Road property, and Trustee John Martin concurred. However, Miller pointed out that the township’s general fund would not be reimbursed for those expenditures if the township contracted out the job. Miller told the concerned residents that he would explore the process for removing a tree off the roof of the house. He also recommended that the residents contact the county health and sheriff’s departments about any additional action they could possibly take. Ross said the township would also start the process of mowing the noxious weeds and tall grass. 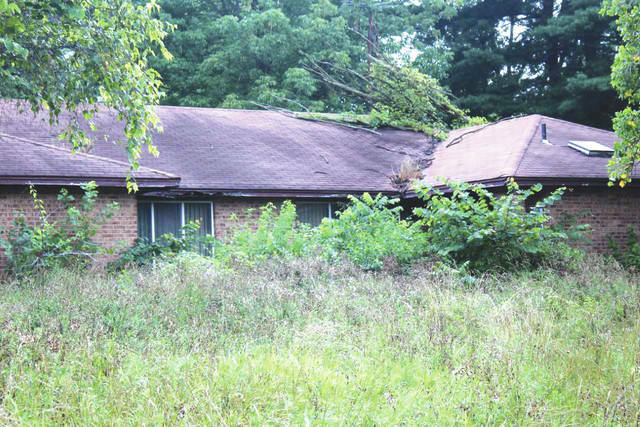 https://www.fairborndailyherald.com/wp-content/uploads/sites/50/2018/07/web1_nucprop2.jpgLinda Collins | Greene County News The vacant property, located at 4953 Bath Road, has noxious weeds and high grass, overgrown bushes, fallen trees, pungent odors and animal infestations. 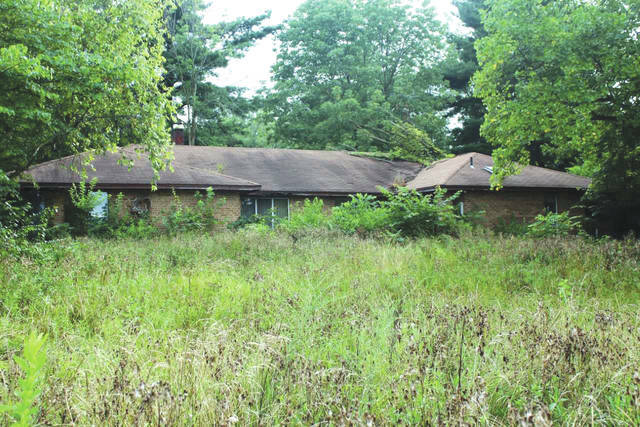 https://www.fairborndailyherald.com/wp-content/uploads/sites/50/2018/07/web1_nucprop.jpgLinda Collins | Greene County News The vacant property, located at 4953 Bath Road, has noxious weeds and high grass, overgrown bushes, fallen trees, pungent odors and animal infestations.